This is one of those moments when celebrities are eclipsed by some normal people with a flawless sense of humour and imagination. These kind of pictures that we are about to discuss below are a reminder of what real, no Photoshop, raw life really means. And it’s just as beautiful. 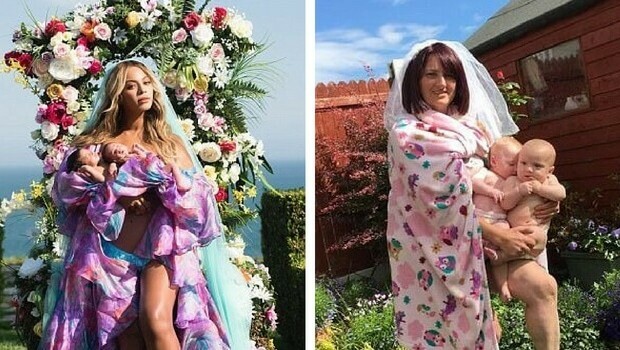 Following Beyonce’s picture of her together with her newborn twins which was gorgeous, another wonderful one came flying on „the wings” of the Internet and it is just as flawless. 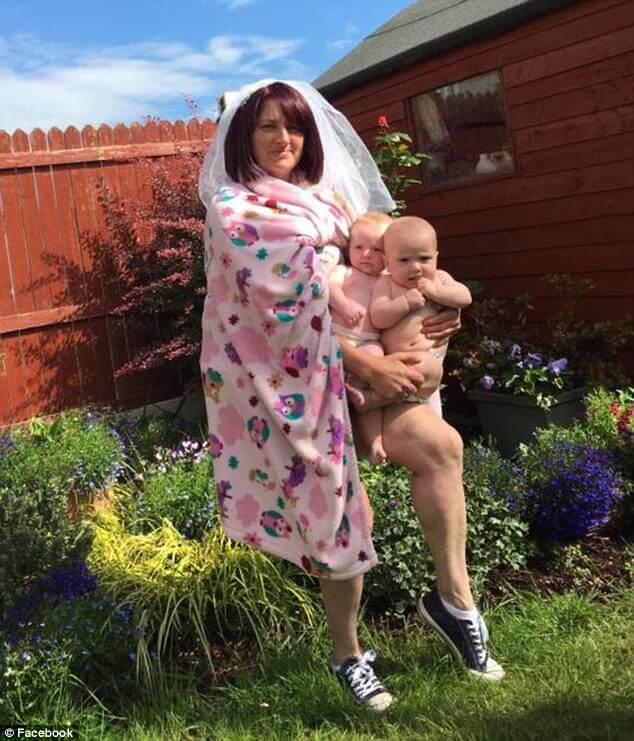 An Irish mother of twins replicates Beyonce’s photo, only that she’s more humane in it: she’s wearing Converse, she has a pink fleece blanket on her shoulders, no make-up and her head is wrapped up in a white veil. 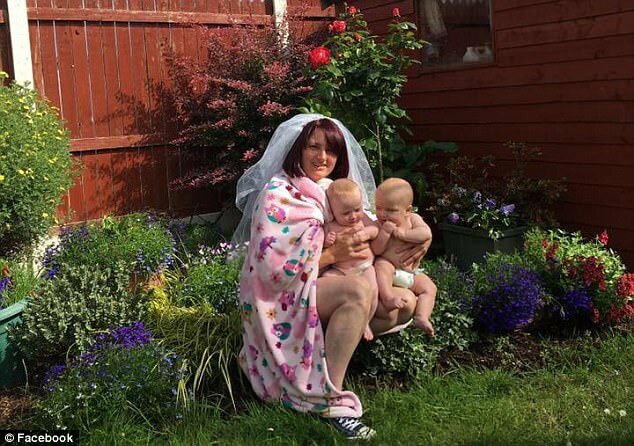 What is even more stunning is the garden beside her. Also, the babies look just as cute as Beyonce’s babies and the mother rocks. 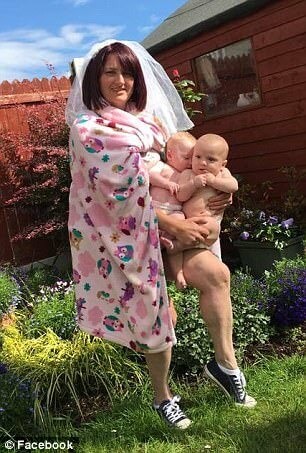 She’s not afraid to show her muscular legs and she’s proud of what she’s got: two wonderful bundles of joy, a great flower garden and a normal, beautiful life, as it seems.